Yoga practice has been an aide to mankind for thousands of years. In those thousands of years, many brilliant people, who had a lack of self-worth, have taken their innovative ideas with them to the next life. Their ideas could have advanced our species at a faster rate, but they did not take a chance. You see – the most brilliant minds do not reach full potential, if they lack self-worth. Most of us are not born with self-confidence. Self-confidence and self-worth are usually a result of a particular learning method, and Yoga training is the 5,000 year old mother of all of these methods. Right now, a lack of self-confidence could be critical to our species, as we keep heating up the planet by burning fossil fuel. If an inventor finds an environmentally safe solution, but lacks the self-esteem to follow through, a brilliant idea remains “locked up in the vault” of his or her mind. Yoga has many solutions for restoring or creating self-worth. 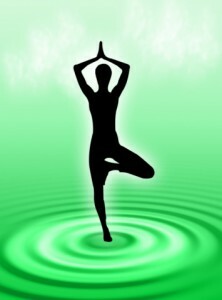 Yoga practice enables millions of practitioners to safely stabilize their mental and emotional health. Let’s look at mantra, japa, affirmation, or prayer, for building self-confidence and self-worth. If you learn to practice any of these methods in your mind, your self-worth is restored, because they instill hope. There is always hope, if we are willing to look for it. Look at a depressed person, and you will see an inner lack of hope, which reflects outward. If we say to ourselves: “I cannot do it,” how can we build our self-worth? Why should the outside world believe in us? Here is an example of an affirmation for self-worth: I will change today with my first step. I will take chances. I will not fear criticism. An inherent fear within all humans is the fear of being criticized. This one fear prevents brilliant ideas from becoming reality. Even some of the most brilliant minds had to overcome self-doubt. Yet, they believed in themselves, despite criticism from others. There are many forms of mantra, japa, and prayer, but all of them develop self-empowerment. Each of these practices is different from the other. Through these practices, you can purge negativity, balance your emotions, build self-worth, and lower your stress levels. If one practices mantra often enough, a state of “Mantra Siddhi” becomes realized. Mantra Siddhi results when the power of the mantra has come to fruition. It is said that 125,000 repetitions of a mantra will result in Mantra Siddhi. To say the very least, the repetition of any idea, would result in positive action, on your part, toward your objective. Action, on your part, is required to build or restore self-worth.